Photo credit: Christopher Meegan USRC officially announced Black Box rally team's Production AWD Championship win for the 2012 season! Congratulations to Marra Estep for her third USRC championship title, Ryan Gates/Ryan Hegel for an amazing initial rally season, and Michel Hoche-Mong for his 2wd campaign this year! Thanks again to all our family, friends, and fans for coming out to support us at the rallies. http://www.usrallychampionship.com Thanks to Christopher Meegan for the amazing shot of us at the RNY RallySprint! 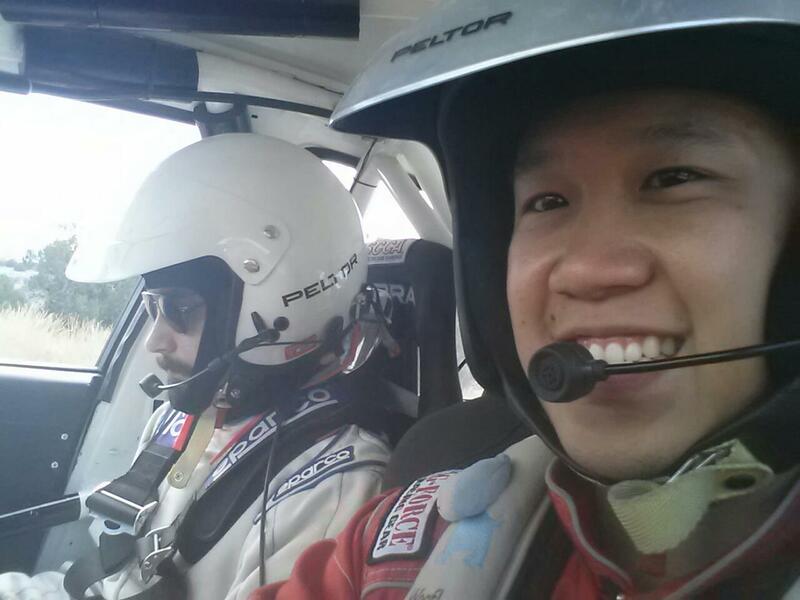 Black Box rally team featured in Gearbox Magazine! what it took to make our rally dreams a reality. Gorman Ridge Rally 2012 highlights! Gettin' it done! This rally was all about getting my head back in the game. With rny rallysprint behind me, i concentrated on the desert trails, and mountain passes that make up Gorman Ridge. Wow what a difference from forests on the east coast! On the desert trails, we got into a groove blasting down the faster corners. Gorman Ridge had some of the tightest, gnarliest roads i've ever experienced. This was quite the contrast to the flat-out, open, desert roads I had stereotyped for desert rallies. The elevation changes were amazing. Just imagine powering up a 45 degree increasing incline...except the top is a completely blind turn where going too fast would result in literally jumping off the side of a mountain. As we went through recce for the Powerline and Wheatfield stages, I quickly realized that Gorman's mountain passes were no joke. These were the kind of stages where an off would mean rolling down the side of a mountain, Pike's Peak style . I wanted to stop driving multiple times just to take the time to appreciate the view. First third of the rally, we were neck and neck with the experienced team of Bill Holmes and Sean Gallagher in a completely ridonculous SVT Raptor! To give you an idea of the spread, neither Holmes, Hoche-Mong, or I were more than, on average, 6 seconds apart from each other. But as the rally progressed, we knew we needed a solid finish at Gorman to line us up for the United States Rally Championship. We dialed it back a bit, focusing on a consistent pace. Unfortunately, around stage 12, it was looking like we might have dialed it back too much, as the team of Psara/Fahring overtook us for 3rd in an open class AWD car. That set us up quite nicely for a battle on the last three night stages. All three of the stages involved carving up the side of a mountain, at night; short technical turns with huge drop-offs - my favorite! Despite being at a significant power disadvantage, we were able to pilot our Production AWD evo and best Psara/Fahring on two of the last 3 stages. This allowed us to finish first out of all AWD entries! Photo credit: castleislandphotography.com Special thanks to Laengworks Racing for helping us to make this happen! Thanks to Unlimited Signs for supporting our Vinyl needs! Just a small update until i get a chance to do a full write-up later this week. We did it. With Laengworks Racing's help, we finished 1st in Production AWD class and 3rd overall. It was a great start for our first west coast rally. This was a fantastically organized rally; the live updates/media updates were a real treat. Special thanks to all the volunteers that worked the event. Thanks to all the Gorman competitors for welcoming us and helping us feel at home 🙂 We have some nice pictures from the event; As a teaser - wide-open desert roads, awesome; Powerline/Wheatfield; holy jumps batman, and carving up mountain passes where a mistake meant rolling down the side of a cliff Pike's Peak style?! Wow! [youtube_video]http://www.youtube.com/watch?v=zEUrEPPABbY&hd=1[/youtube_video] An example of what did not happen at Gorman Ridge rally. Alvin Fong went on to say: “I still can’t believe this is happening. Just a few weeks ago, our rally season looked like it had come to a premature end. I have to thank the rally organizers, Laengworks, our crew, and all our supporters out there for pushing us to get back up on our feet, and helping us to overcome all the challenges to make it out to the event!” If you are in the Los Angeles area, come out to Gorman Ridge rally to check out Black Box and all the rest of the rally teams. Otherwise, live results can be checked here: http://www.gormanridgerally.com. As always, we’ll post updates throughout the event on facebook: www.facebook.com/blackboxrally.